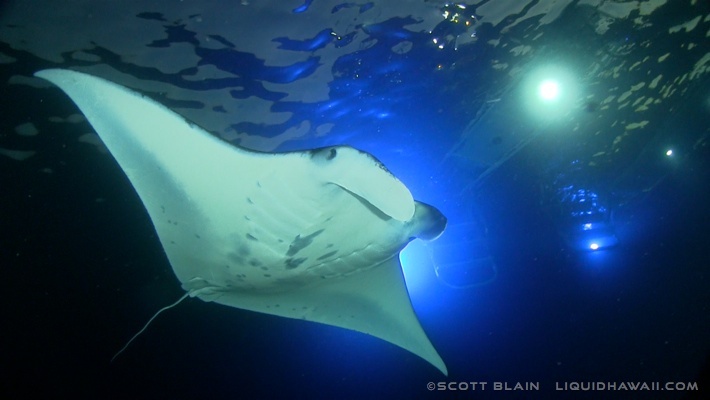 Liquid Hawaii is proud to be a Manta Ray Green Listed Activity Provider for the Manta Ray night snorkel. 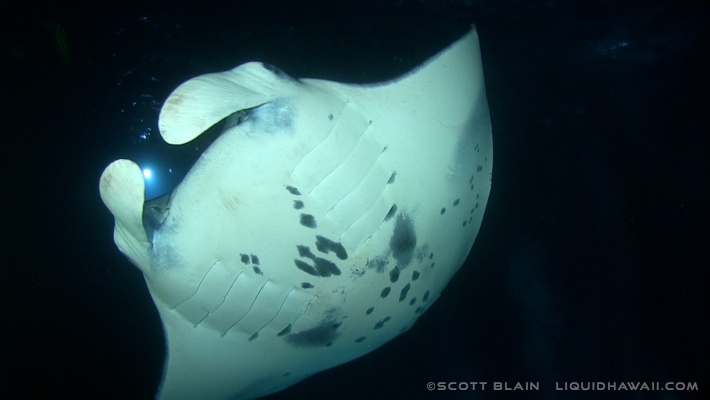 Help protect our Mantas. Only book with a Green Listed tour provider! Check-in time: 6:30pm for the Night Manta Ray Snorkel Tour but changes depending on time of sunset so be sure to confirm when booking your tour. $119.00 per person, plus tax. Includes all snorkel gear, snacks, juice, bottled water & soda. 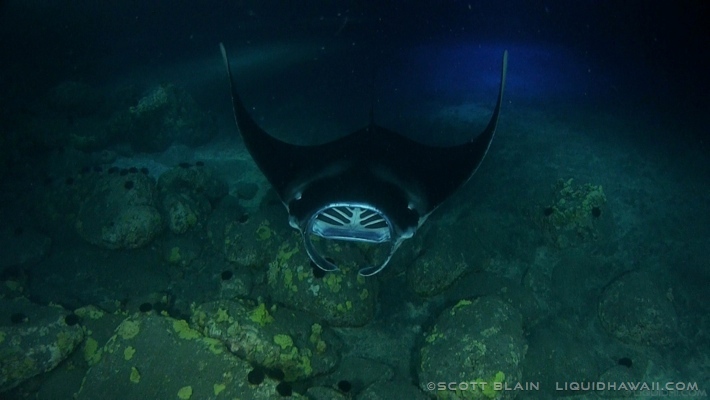 The Big Island of Hawaii is the only place in the world that has resident Manta Rays that consistently come to feed at the same locations throughout the year. Hawaii Manta Rays have a wingspan of 4-16+ feet across and can weigh up to 1000 pounds. 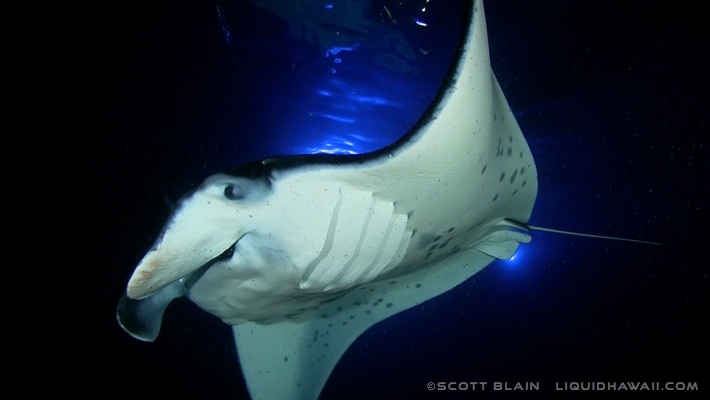 Unlike other rays, Mantas have no teeth, stinger or barbs, so they are completely safe to be around. They are filter feeders, with plankton as their only source of food. 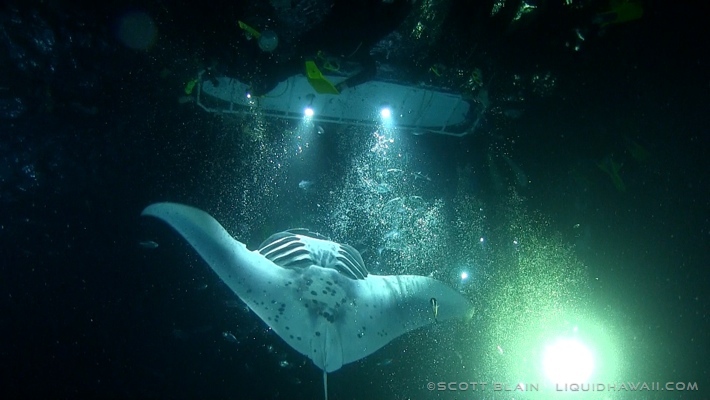 Lights are placed in the water, which attract the plankton, which then attracts the Manta Rays. 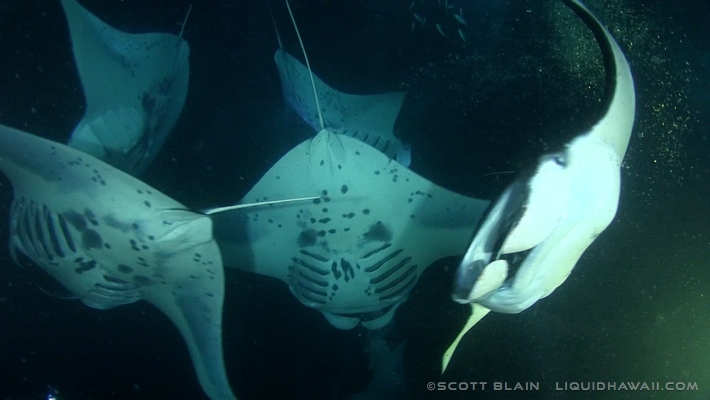 Along the West Coast over 240 Manta Rays have been identified since 1979. The sight of these gentle giants is breathtaking and the experience of swimming with these large, peaceful creatures is exhilarating. We will travel along the coast around sunset. 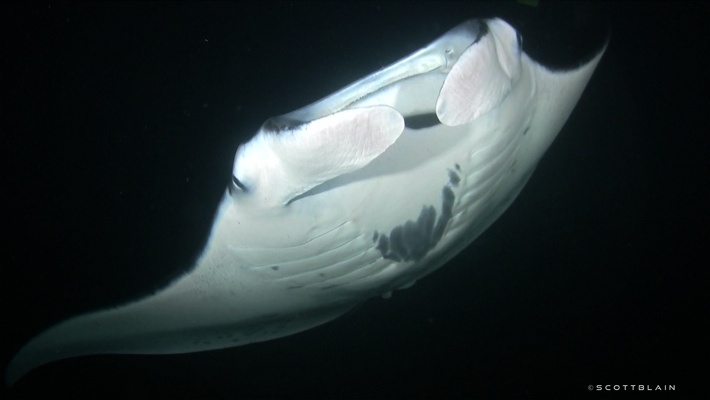 Upon reaching the Manta Ray snorkel site we will give a thorough briefing about the Mantas and how to get the most out of your Manta experience while keeping yourself and the Mantas safe. 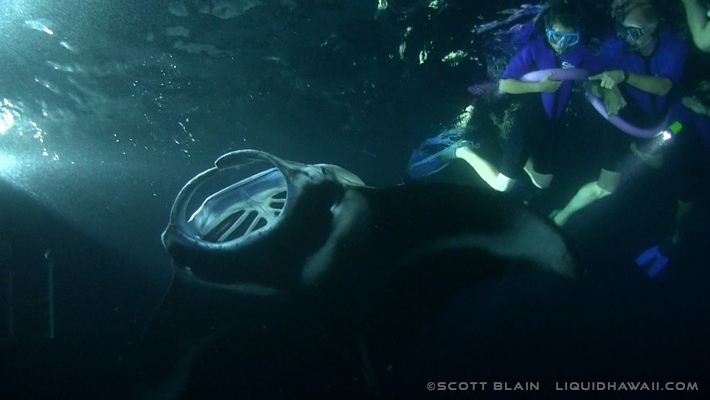 Watching the Manta Rays in their “ballet” below you will be one of the absolute highlights of your life! The sheer size and gracefulness of these creatures is incredible. 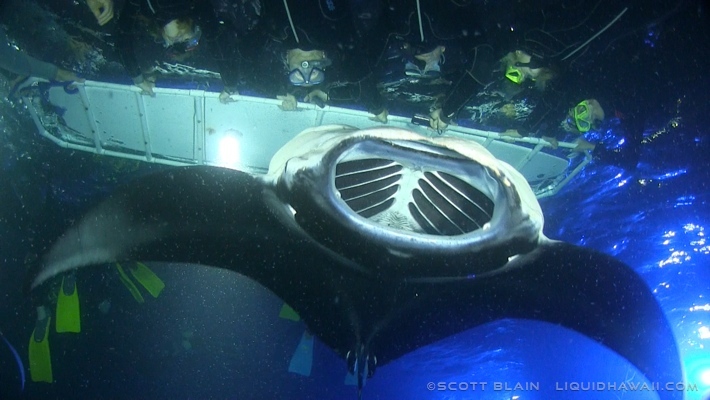 After being suited up with your snorkel gear, the group will do a short swim while holding onto one large flotation board mounted with lights to the manta viewing area. Once you reach this area you will essentially hang out while holding onto the board, watching the mantas’ acrobatics below you. After your snorkel experience, we have snacks and beverages for you to enjoy as we travel back along the coast. We provide masks, snorkels, fins, shorty wetsuits and flotation devices. Please bring a towel, dry clothes, and jacket/sweatshirt for the ride back.